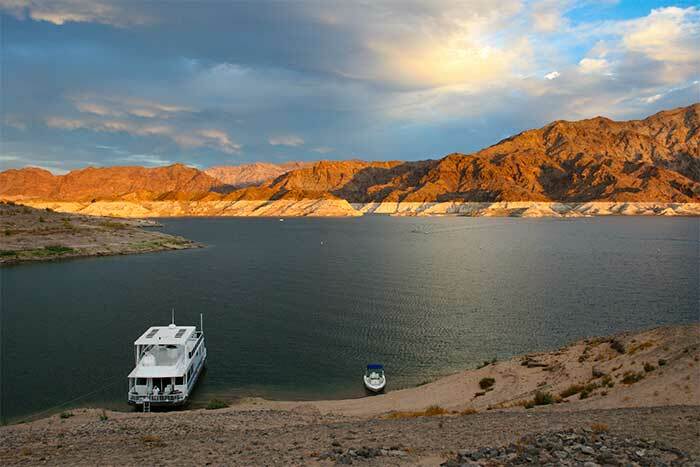 Lake Mead National Recreation Area (NRA) offers a wealth of things to do and places to go year-round. With 1.5 million acres, it is twice the size of Rhode Island. Its huge lakes cater to boaters, swimmers, sunbathers, and fishermen while its desert rewards hikers, wildlife photographers, and roadside sightseers. Three of America's four desert ecosystems--the Mojave, the Great Basin and the Sonoran Deserts--meet in Lake Mead NRA. As a result, this seemingly barren area contains a surprising variety of plants and animals, some of which may be found nowhere else in the world. 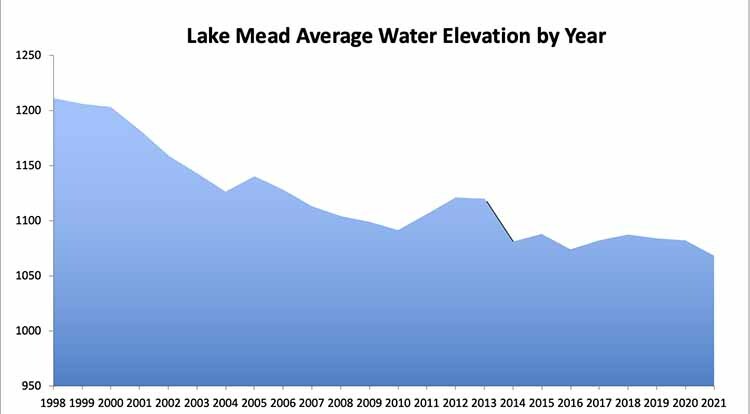 For current lake and river information click here. Open year-round, 24 hours, 7 days a week with peak use in the summer. Visitor Center: Open from 8:30 a.m. until 4:30 p.m. every day except Thanksgiving, Christmas and New Years. Is located 4 miles northeast of Boulder City, Nevada on U.S. Route 93. The bookstore offers exhibits, books, brochures and topographical maps and nautical charts. It is managed by Southwest Parks and Monuments Association. The park staff can help plan your stay and give you up-to-date information on park activities and services. The new Alan Bible Visitor Center is open 9:00 a.m. to 4:30 p.m Wednesday through Sunday. Closed Monday and Tuesday. Please call 702-293-8990 for more information. The Visitor Center will be closed the following holidays: Thanksgiving Day, Christmas Day and New Years Day. Programs include a winter lecture series, ranger-led programs and hikes, paddle- wheel tour boat ride to Hoover Dam, Black Canyon raft trip. Read the Scott family's story about their houseboating vacation. 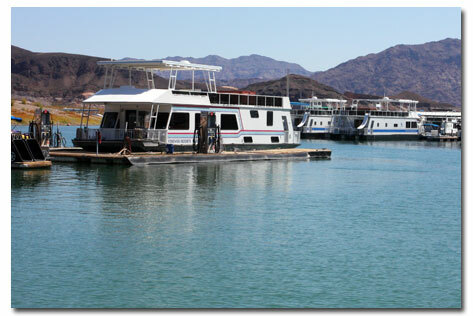 DesertUSA rented a houseboat to explore the western part of Lake Mead.